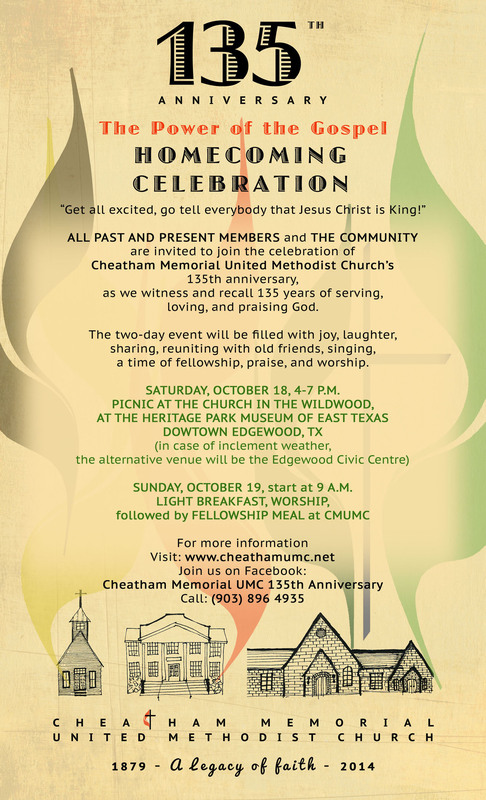 The Cheatham Memorial United Methodist Church in Edgewood, Tx., where I am a member, celebrated its 135th anniversary this year. 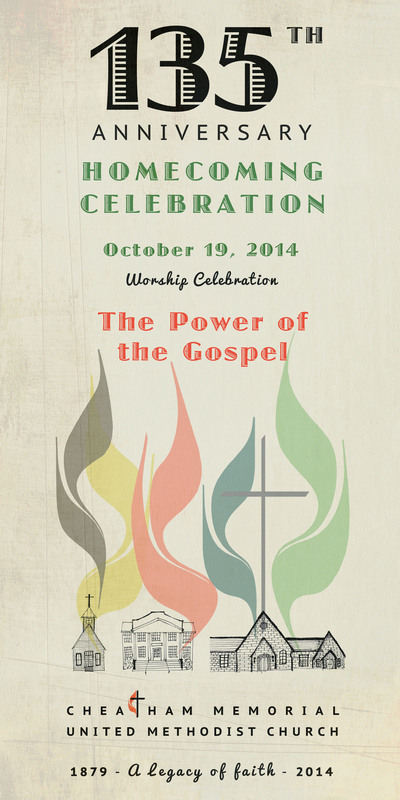 The theme “A Legacy of Faith” was chosen for this celebration. 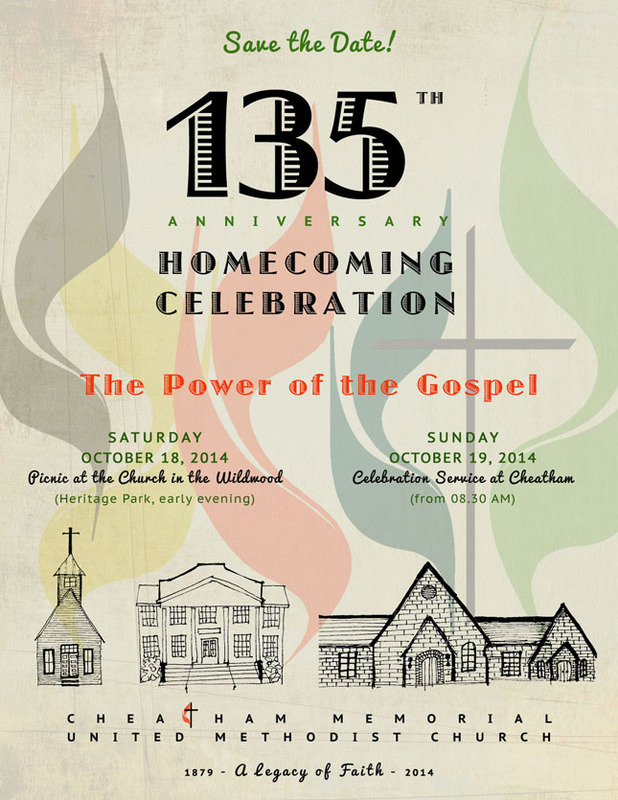 The past members and pastors were invited to rejoice with current members and we call it a Homecoming Celebration. I am honored to be one of the planning team members and help with the artwork / press release / publications. 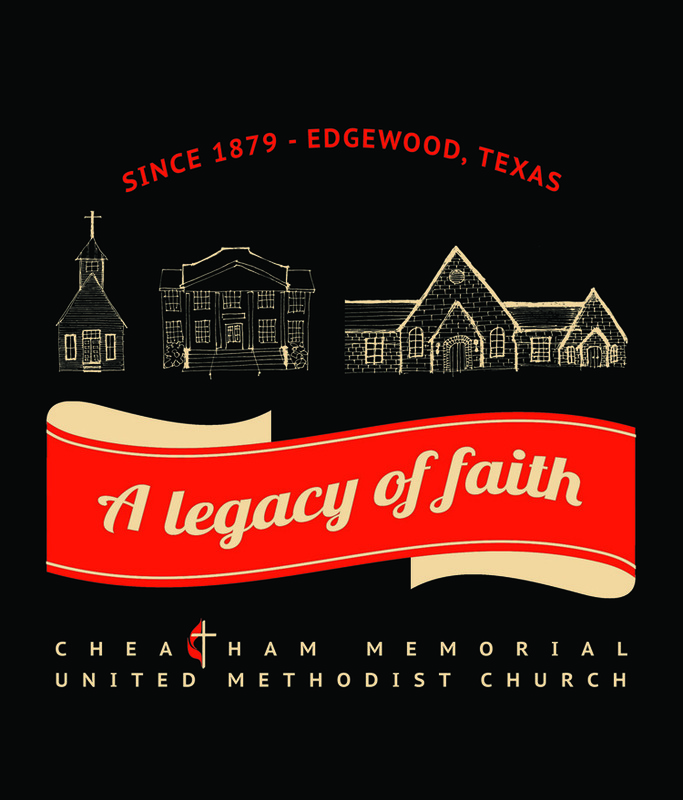 History background and the United Methodist Church’s logo (the flame and cross) were the concept used to do the artwork. The works begun in February 2014. 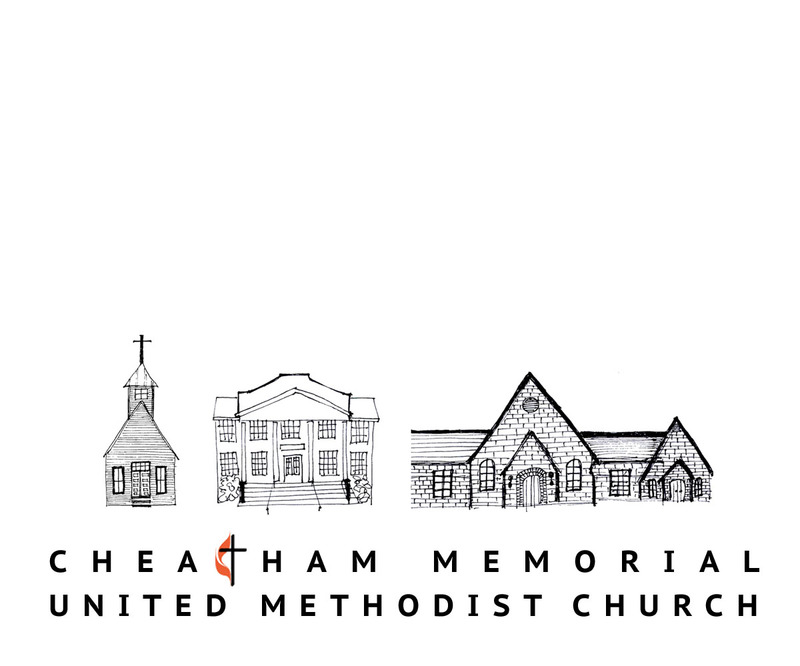 First, the anniversary logo was created and it depicts the front view of the church entryway to the sanctuary, with an open door. 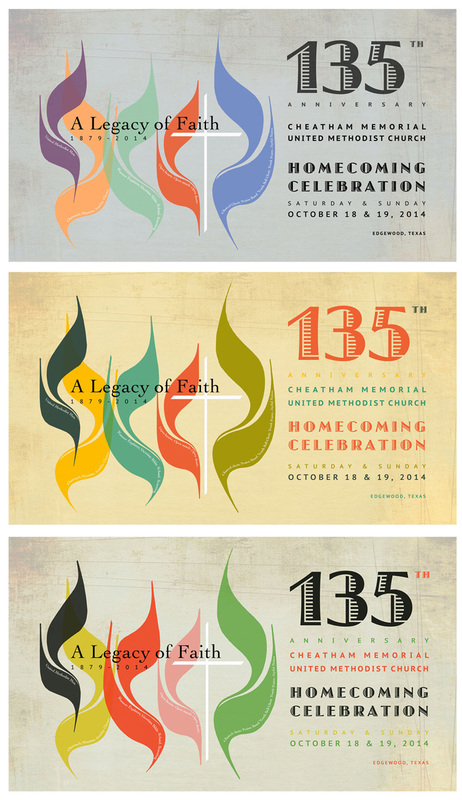 The cross and flame double-functions as the “T” in Cheatham. The Texas Historical Marker’s icon that the church received in 1982, was also included. 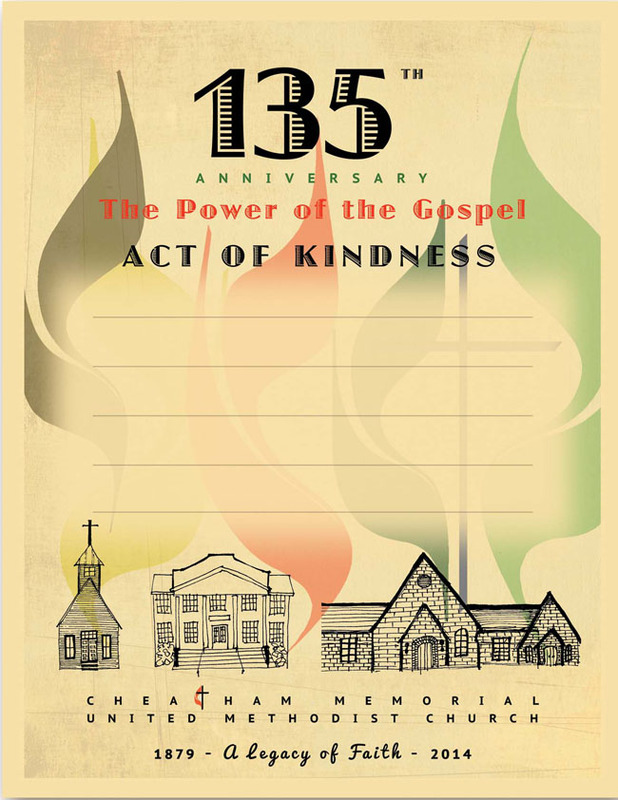 The logo was used for any church communications regarding the event. 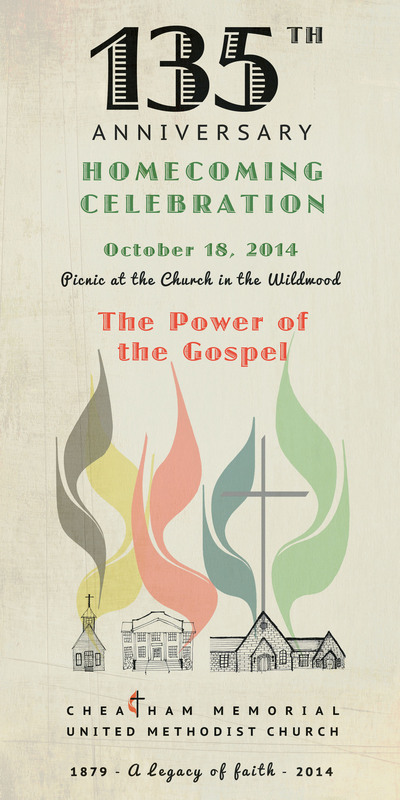 The more colorful design was to be used as teaser, advertisements, invitations, reminders, etc., as the church built the momentum towards the big day in October 2014 (six months planning period). For this, the colorful play of the flame was applied. The initial design suggested that each flame would represent the ministries of the church. The church, which was born in 1879, has rich historical background. 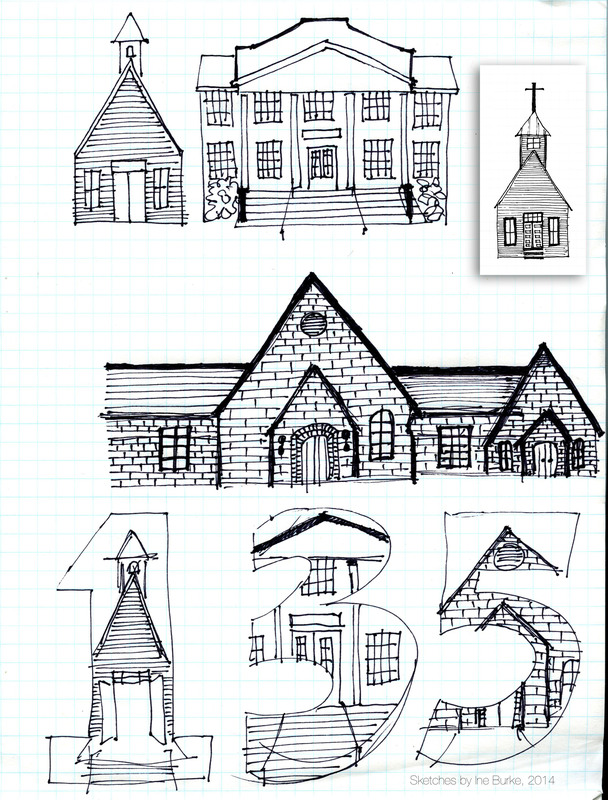 The congregations have been worshiping in 5 buildings in its 135 years course. The first two buildings served both Methodist church and Edgewood school. The church and school separated in 1897. The latter three church buildings were then incorporated into the design to commemorate this incredible heritage. The initial hand sketches are shown below. The top-left is the Church in the Wildwood (1897-1923) – the insert on top-right is the second version that was eventually being used in the artworks; the top-middle is the first church brick building (1923-1953); and the current church brick building (1953-now) is depicted in the middle. The bottom sketch is one of my draft sketches for logo idea. These three-church sketches and the flame-and-cross icon were combined in the following works which were dispersed in the forms of postcards, bulletin, also electronic copies. During the discussions with the planning team, the idea “the church is the people” was suggested. I kept that in mind and the opportunity to express that came through the cover of A Legacy of Faith, an illustrated history book which was published to commemorate the anniversary. See it at A Legacy of Faith. Bulletin covers and name tag for the two main events maintained the visual identity. 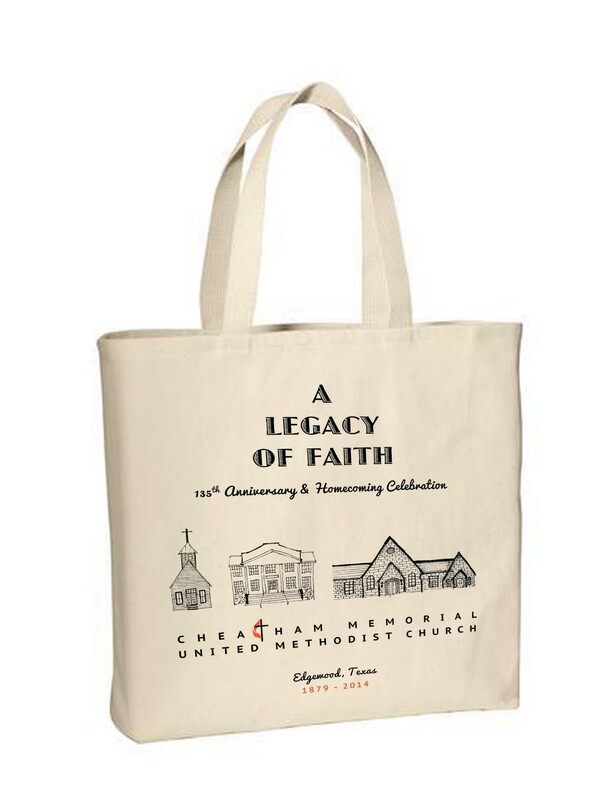 A simpler black and white design, with orange flame, was applied for souvenirs such as cotton tote bag, decals. The color was inverted for the chosen black t-shirts. 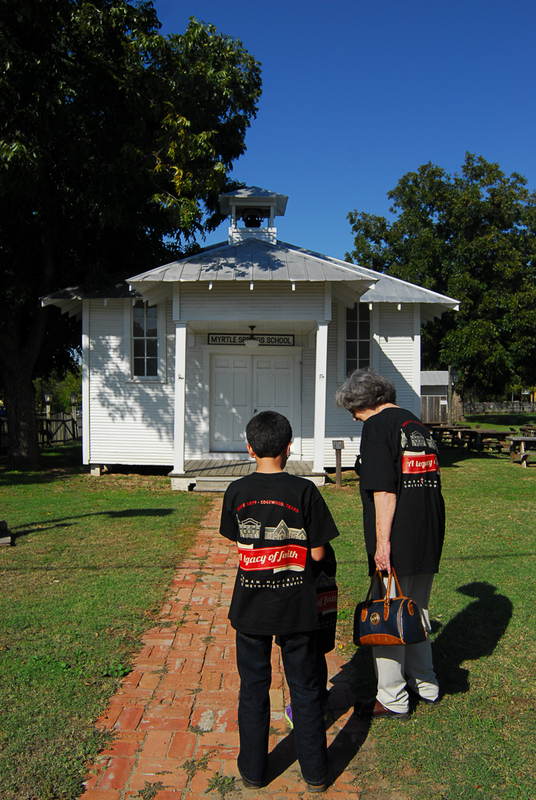 © 2014 Ine Burke for Cheatham Memorial United Methodist Church, Edgewood, Texas.